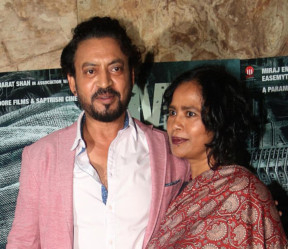 As Irrfan Khan is back to work after getting treated for his neuroendocrine tumour, which he was diagnosed with last year. The actor is currently shooting for ‘Angrezi Medium’ and his wife Sutapa Sikdar penned a message to their well wishers. On Friday, producer Dinesh Vijan released a photograph that confirmed Khan’s return to work. ‘Angrezi Medium’ is a sequel to the 2017 comedy ‘Hindi Medium’ and is being directed by Homi Adajania.